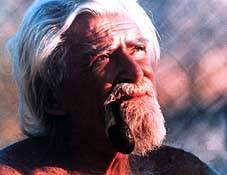 George Adamson, the "Lion Man" of Africa was one of the founding fathers of wildlife conservation. He is best known through the book and film "Born Free", the story of Elsa, an orphaned lioness raised and released into the wild by Adamson and his wife, Joy. 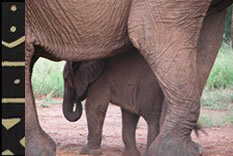 He was born in India in 1906 and first visited Kenya in 1924. After a series of adventures, which included becoming a gold prospector, he joined Kenya's game department in 1938 and, six years later, married Joy. It was in 1956 that he shot the lioness whose cub was to become world-famous as Elsa. George Adamson retired as a game warden in 1961 and devoted himself to his many lions. In 1970, he moved to the Kora National Reserve in northern Kenya, working with Tony Fitzjohn as his right hand man, to continue the rehabilitation of captive or orphaned big cats for eventual reintroduction into the wild. In 1989 at the age of 83, Adamson was murdered at Kora by Somali bandits.